Montgomery County police have released a description of the suspect vehicle in connection with Tuesday's fatal hit and run collision. Police are offering a $10,000 reward to anyone with information that leads to an arrest in the fatal hit-and-run. Tipsters can call Crime Solvers at 1-866-411-8477. WASHINGTON – Montgomery County police have released a description of the suspect vehicle in connection with Tuesday’s fatal hit and run collision. Police are looking for a late-90s to early-2000s Toyota Corolla of unknown color. The collision occurred Tuesday between 7 and 8:30 p.m.
WASHINGTON – Family and friends are grieving after a hit-and-run Tuesday night left a woman dead and police looking for witnesses. 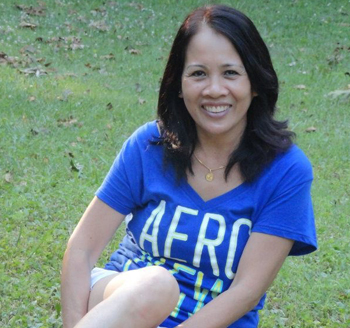 Marlyn Eres Ali, 53, was crossing Connecticut Avenue at Everton street in the Wheaton-Glenmont area between 7 and 8 p.m. Tuesday when she was hit by a vehicle that left the scene. Around 8:15 p.m., Montgomery County police and fire and rescue personnel found Ali by a grassy area between the curb and a service road near Wheaton High School. Ali was taken to Suburban Hospital where she later died from her injuries. She lived a few blocks away from where she was initially found. Also near where Ali was found is the L8 Metrobus stop. She routinely rode the bus to get home from D.C. around 7 p.m.
Police are looking for a Toyota Corolla from the late 1990s or early 2000s in connection with the hit-and-run. The color of the car is not known, but police say they believe it may have front-end damage. Family and friends held a candlelight vigil for Ali Wednesday night along Connecticut Avenue near Everton Street to remember her and ask for anyone with information to come forward. “They just need to surrender, because we’re you know, just hanging right now. We need some justice,” says Lial Lynn, Ali’s niece. Ali worked as a nanny for Jessica Daly for almost three years. Daly says she’d become a member of the family. “My little baby’s just learning to walk, and she was so proud of her. She took a lot of pride in raising our children,” said Daly. The incident is still under investigation and anyone with information is asked to call 240-773-6620, especially those who ride the L8 Metrobus and may have seen something around the time of the accident. To the person who hit Ali, Montgomery County Police Capt. Thomas Didone is asking that he or she contact police. See the police flier on the collision below. Lacey Mason and Ari Ashe contributed to this report.